Art inspired by Japan's most celebrated work of literature is the subject of a major exhibition at the Met in New York. The Tale of Genji, written by Murasaki Shikibu, a lady-in-waiting in the early eleventh-century imperial court, recounts the amorous escapades of the "Shining Prince" Genji. The book introduces some of the most iconic female characters in the history of Japanese literature and has been described as the world's first psychological novel. Among the works on show are two of Japan’s National Treasures: a pair of screens by the Rinpa master Tawaraya Sotatsu (ca. 1570-ca. 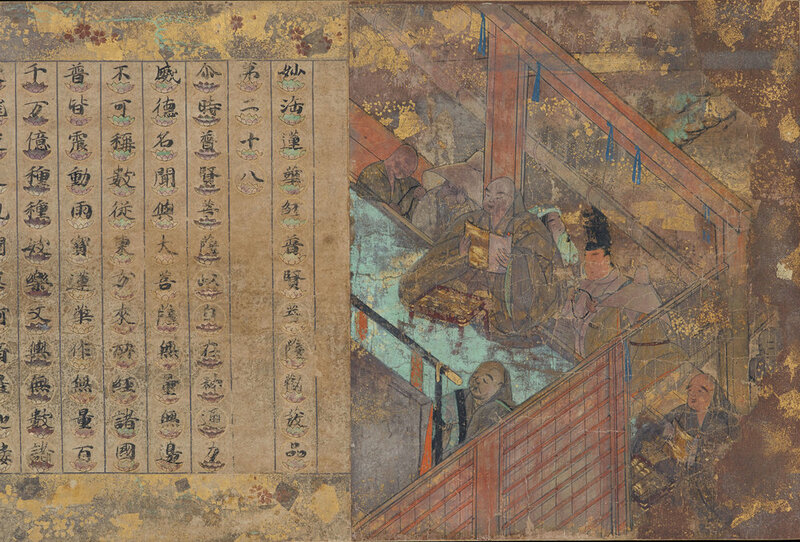 1640), Channel Markers and The Barrier Gate, depicting two chance encounters between Genji and a former lover; and the Heian-period Lotus Sutra with Each Character on a Lotus.